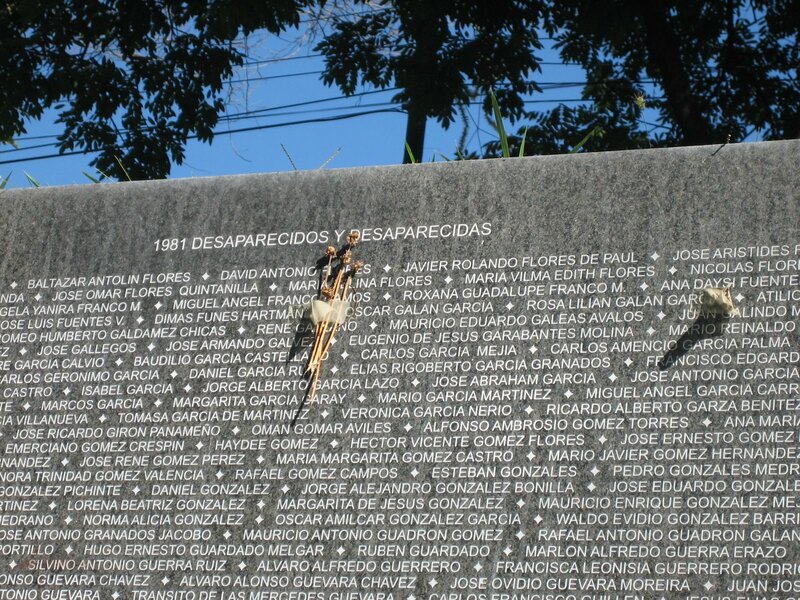 Earlier this week, El Salvador launched a commission to search for the thousands of persons still missing from the years of the country's civil war. Twenty-five years after the war ended, there will be an actual government effort to help identify the whereabouts of people who disappeared during the war. Presumably most were killed during the war, but their bodies never recovered. I firmly believe that the establishment of this National Commission will play an important role in the effort to address El Salvador’s collective grief and heal the wounds of the past. Salvadorans deserve to know what happened to their family members, to bury them with dignity and love, should their remains be recovered, and to find some closure to their suffering. In El Salvador and the United States, it is critical for our governments, police, military, intelligence and other agencies to take extra care and effort to preserve all records and files that might provide any information, documentation, context or clues that might help solve the puzzle of each missing individual. These files should be made available to the National Commission in aid of this search. This final point by Rep. McGovern is key. Without the military opening its records of military operations during the war, the task of identifying where bodies might be found will be much more difficult. So far, there is little indication that the army plans to allow investigators to peruse its files to locate people the army killed. Since the army has stonewalled in the trial of El Mozote, I fear they will thwart the efforts of this new commission as well.